I figured I'd share my progress on this fun little project here. 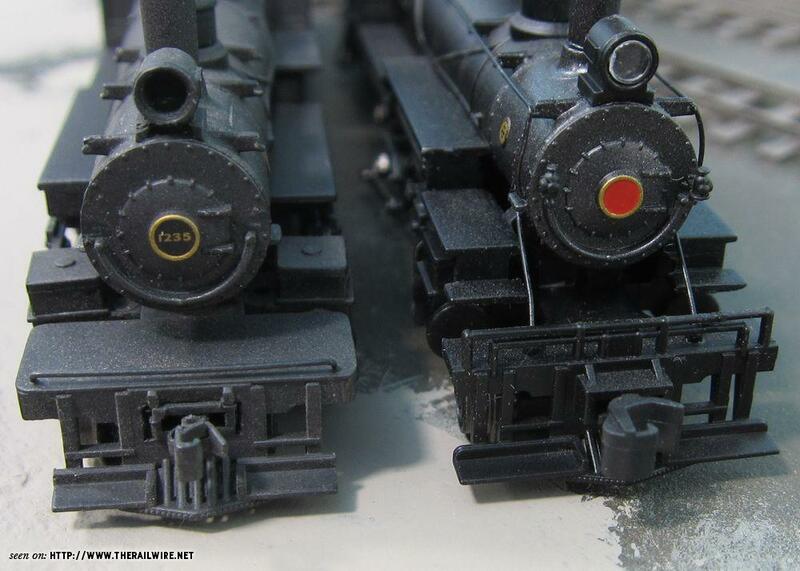 I'm working on turning a Bachmann 4-6-0 into a more reasonable facsimilie of MA&PA 26 (a sister to 27, pictured here). Well, the memory of that conversion remained in my mind, and when it came time to find a tender for 26, the one he used immediately leapt to mind. Thanks to @Lemosteam , I got my hands on one and today I tried fitting it to the Bachmann slope back tender frame. Folks, I don't think it could've gone much better. All I did was remove the shell then slice the frame away and look at this fit. The next step is finding a decoder to fit in the smallish tender and to lower the engine itself (ala @Chris333 ). I really think I'm onto something here. It's just a shame Bachmann didn't do this themselves. 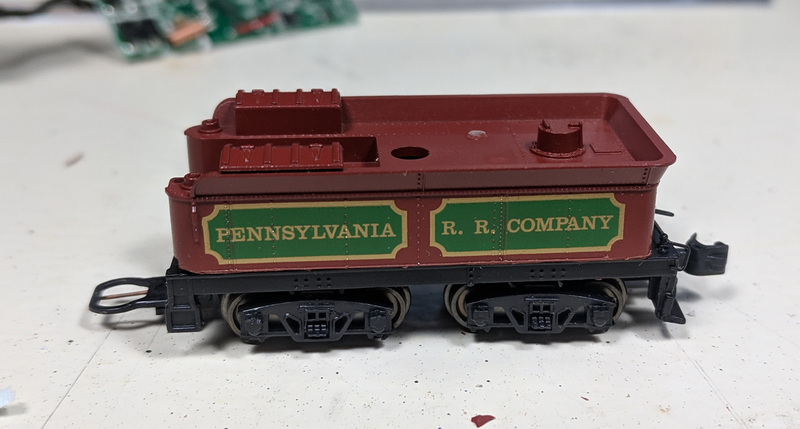 Bachmann likes to use the wrong tenders (The USRA Heavy Mountains as built should have come with a USRA medium, which is what they put on the 4-6-0 above, which is also probably not correct, at least not early on). Ed, I really like this! I agree, the engine is very very close all by itself. Even the dome shapes are right. What do you think about chopping out those toolbox thingies on the top forward "shoulders" of that new tender shell, since it looks like your prototype doesn't have anything like that up there. It wouldn't have to be all that neat, either, since it looks like that area is filled with coal. Yeah, those toolboxes look to be separate pieces - probably will pop right off. I also used a Bachmann tender, but with a Model Power shell and I glued on the MP arch bar sideframes. Also narrowed up the pilot a little so it was less bulky. Really nice build. Gonna light the headlight? That dot of silver paint they use is such a cop out. Ed, you going to sand the sides down and re-rivet with Archer rivets? Good going, Ed. I will be watching with interest, because I have one of those locos and think that medium USRA tender looks ridiculous on it. 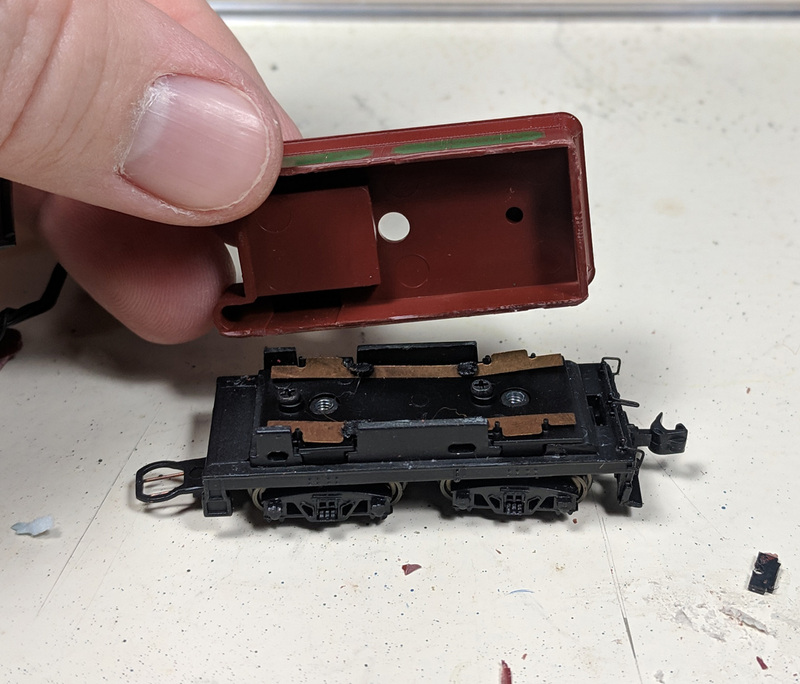 Like you, I have bought a Bachmann slope-back tender for its all-wheel pick-up frame and some shells that are more like the old-time tender shapes. I am even hoping to put sound in mine, so I am eagerly watching to see what you can fit in and how you do it. 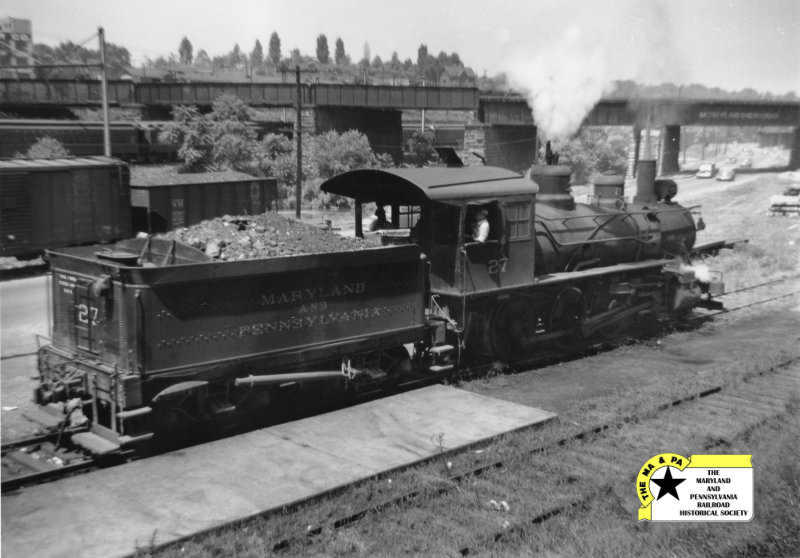 Not to hijack the thread, but have you looked at the tenders that the B&O actually put on their USRA 0-6-0s (D-30)? 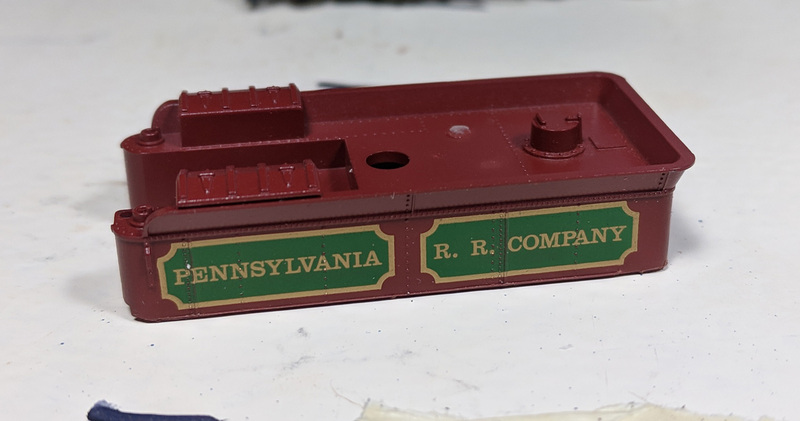 Not that little slope-backed tender that Bachmann provides with their model of it, but a USRA medium tender like the one you are replacing on their 4-6-0! Looks even less prototypical, but it is the prototype (for B&O). Engineer side - the placement of the main reservoir with the running board jumping over it is pretty obvious, and on the fireman's side the dual single air pumps with the running board jumping over top is equally visually obvious. The domes/cab/headlight look pretty good, slide-valve cylinders, could be a lot worse. Depends how much surgery you really want to get involved in. I'm seeing that's a metal boiler shell (die cast) so moving running boards and appliances is not necessarily something to dive into without significant prep. Nothing usable will survive removal by an abrasive disk edge. I had to add an air compressor and relocate the running boards on my Atlas 4-4-0, that was proof to me that one should really think about this, and I'm about to start grinding boiler detail off my Jamco Junker. Yeah, I had thought about doing that until I realized what it would entail. I'm not aiming for a contest quality model here. It's really just to scratch the itch of seeing something appropriate running on the modules I'm going to be building that represent, well, the street I live on. 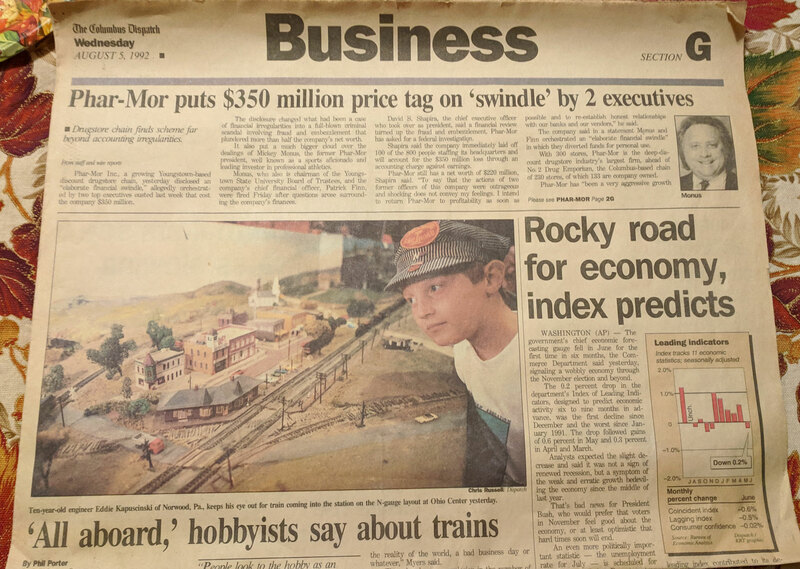 Eddie's saving up to do a real M&PA layout in HO scale, which he'll build underneath his O-scale two-rail turn-of-the-century Pennsy Northern Central. lol we need to start calling him Eddie again. It all depends on how much pain you want to bear, Ed. I hear ya about not wanting to make this into an involved job. and you'll be left with a "scar" all along the boiler where the old one was. And you'll be left with some scars everwhere you accidentally slip and graze something (it's bound to happen!) But those can be filled in with some 2-part epoxy and sanded smooth without too much agony. The new running boards are simpler than what's already on there because they are straight, so some strips of thin styene or brass just glued along the boiler would do the trick. As for the compressors... same thing. They can be buzzed off there and a ready-made casting can just be glued on (I often harvest these from any old steam shell in my scrap box that has a nice looking compressor on it). Of course, all of this assumes you were going to completely strip and repaint the boiler anyway. If you weren't, then grinding off and replacing the running boards and compressor mean a whole strip/repaint chore gets added to your list. I do agree about the tender truck sideframes. 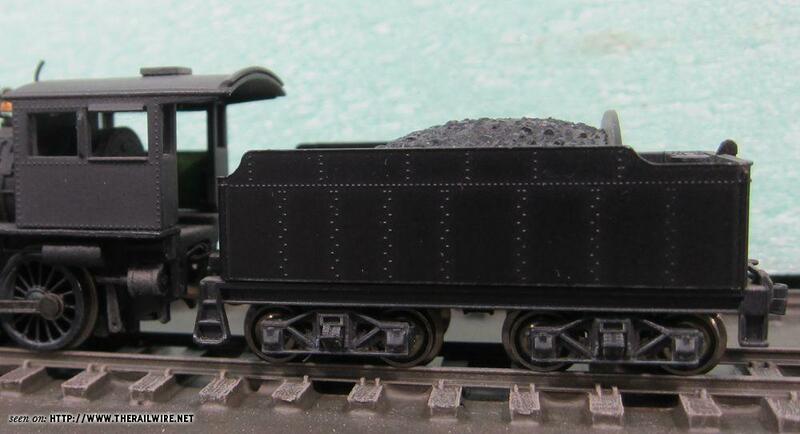 Those Bachmann sideframes always bugged me because they are really screwy and don't look like anything we ever see on a tender truck. If they had at least chosen one that was commonly on a lot of tenders, it wouldn't stand out so much. But again... you can graft some on like Chris did ( flat-file the outside faces of the tender trucks to get them as thin as you dare, then chop the sideframes off some MT trucks or Model Power tender trucks, sand THOSE thin on the inside, and Walthers-Goo them to the outside of the tender trucks). These two, admittedly time-consuming, steps would push your model from "quick looks about right" to "mighty (*)#(* close"